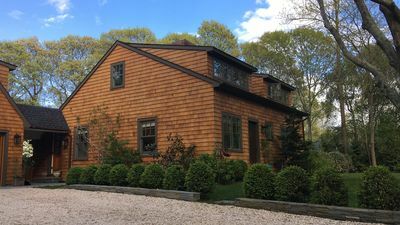 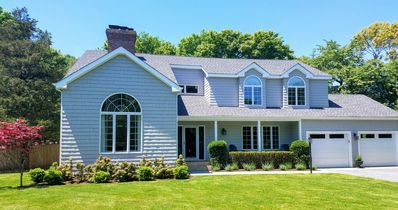 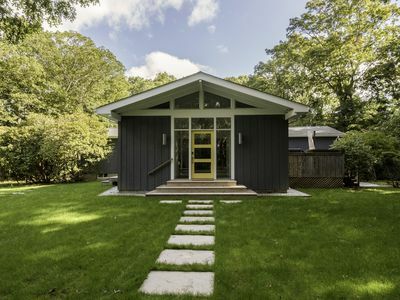 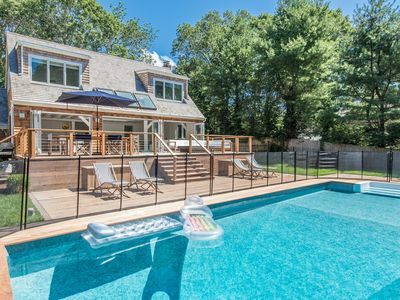 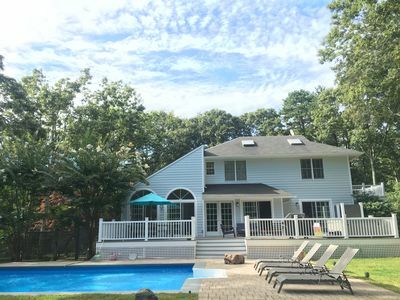 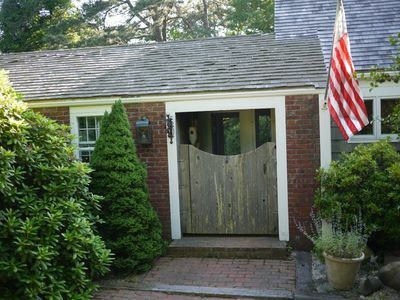 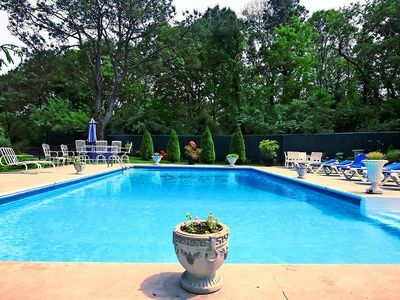 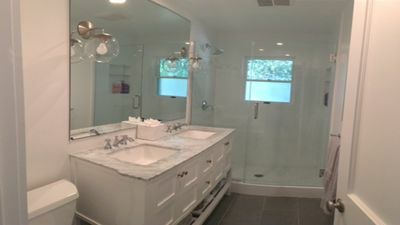 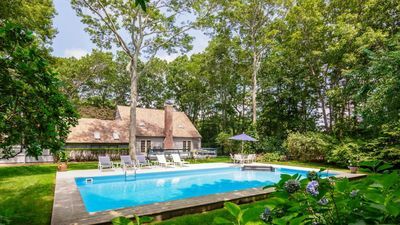 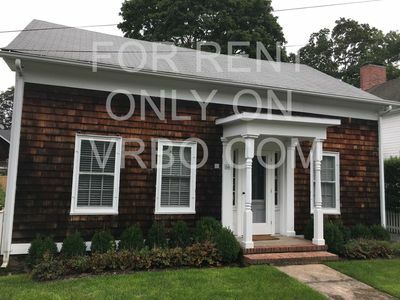 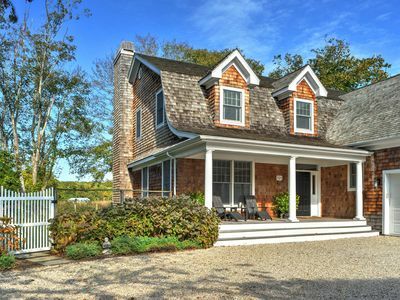 You will adore your East End vacation in our lovingly renovated Hamptons family home, located in a secluded cul-de-sac betwixt East Hampton and Sag Harbor. 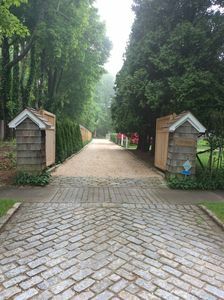 Its conveniently located just minutes from the beaches, boutiques and stylish restaurants, and yet positioned in a private, calm corner of the Northwest woods. 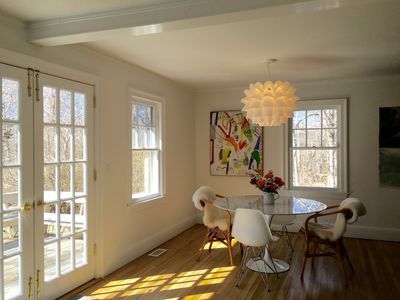 Close the door, step into the serenely bright living room and leave the rest of the world behind. 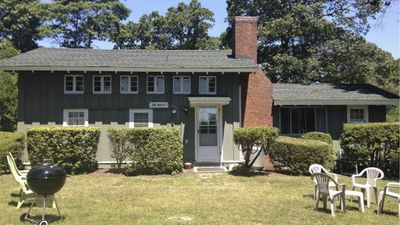 The home features four large bedrooms and three full baths, a well-appointed kitchen, sunny dining/living room with wood-burning fireplace, beautiful outdoor terrace, central air-conditioning, wireless high-speed internet access and hi-spec entertainment system, and a swimming pool surrounded by a well-groomed rear yard. 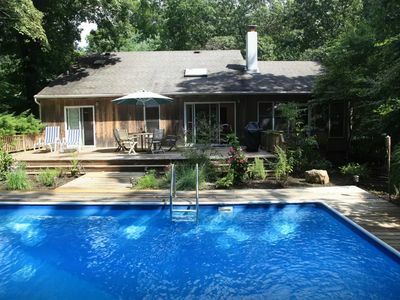 NEWLY RENOVATED WITH POOL, HOT TUB, AND FIREPLACE! 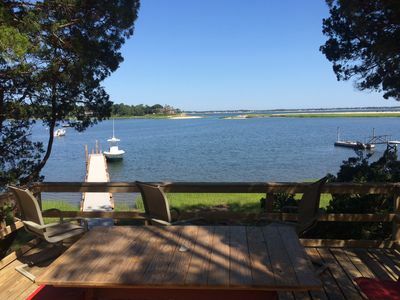 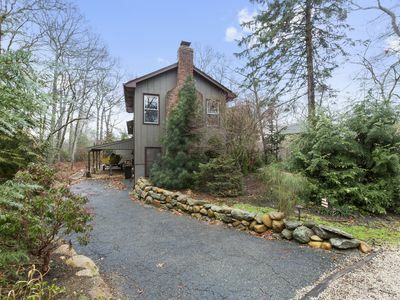 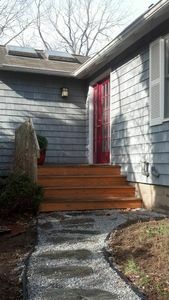 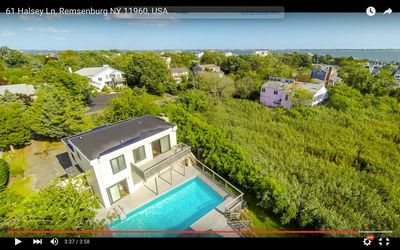 NEWLY RENOVATED FULL YEAR BEACH COTTAGE WITH HEATED POOL AND FIREPLACE!